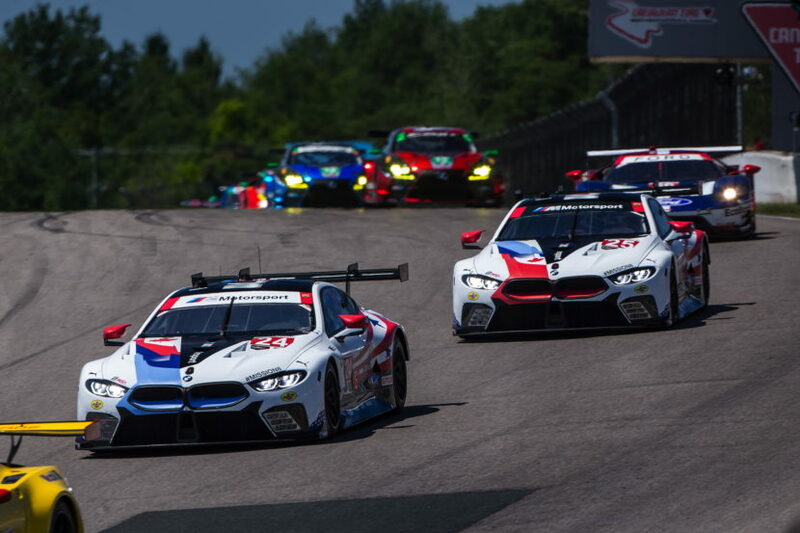 BMW Team RLL finished the Mobil 1 SportsCar Grand Prix, at the Canadian Tire Motorsport Park, in Bowmanville, Ontario, Canada, in the seventh and eighth positions in the GTLM class, the result belying a race that saw both BMW M8 GTE machines lead some portion of the contest. The No. 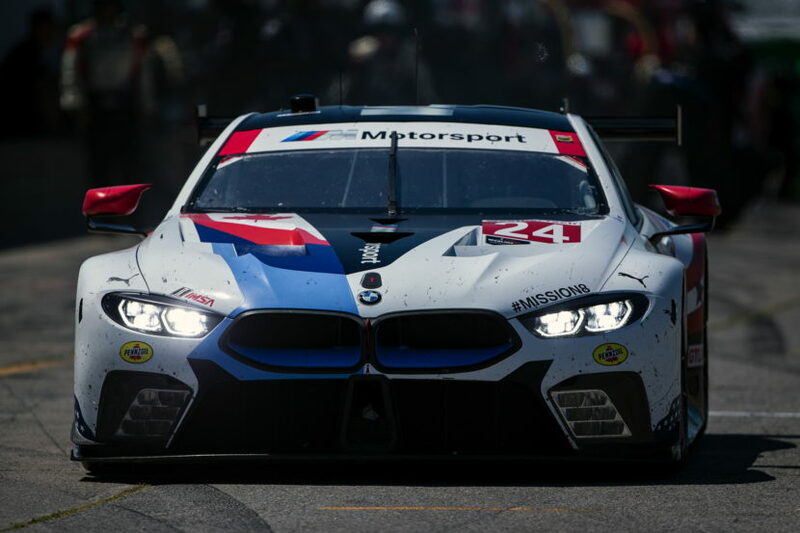 25 BMW M8 GTE finished seventh – only 13.7 seconds from the class winning No. 67 Ford – with Connor De Phillippi and Alexander Sims sharing the driving duties. The No. 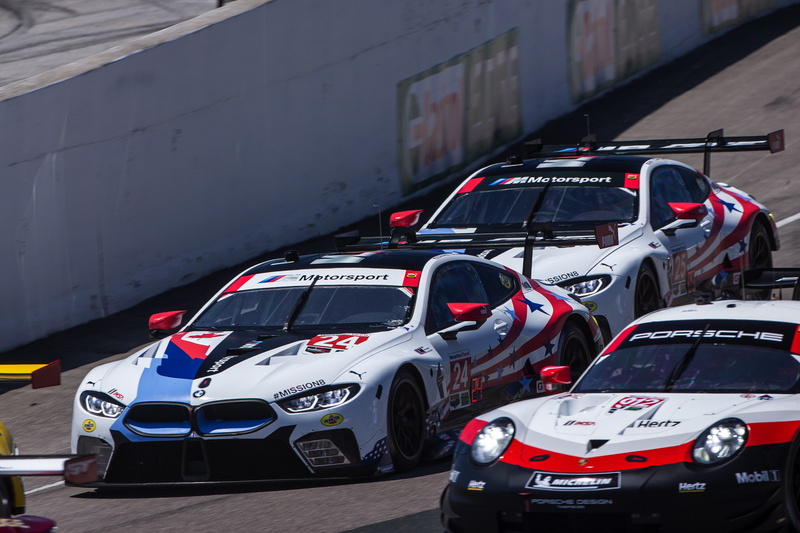 24 BMW M8 GTE, of John Edwards and Jesse Krohn, was forced to retire from the lead of the race on lap 61 after contact damaged the car. bookended the race’s halfway point with Sims having cycled to first and Edwards close behind in second. Unfortunately, contact with the No. 911 Porsche just two laps after the green flag waved on lap 59 forced the No. 24 M8 GTE to the pits with right rear suspension damage. The car was unable to rejoin the race, retiring after 61 laps completed. Sims pitted the No. 25 M8 GTE on the same lap, handing off to De Phillippi to finish the race. The Californian rejoined the race in the seventh position, ultimately finishing there after being unable to move up as the race was slowed through two additional caution periods. 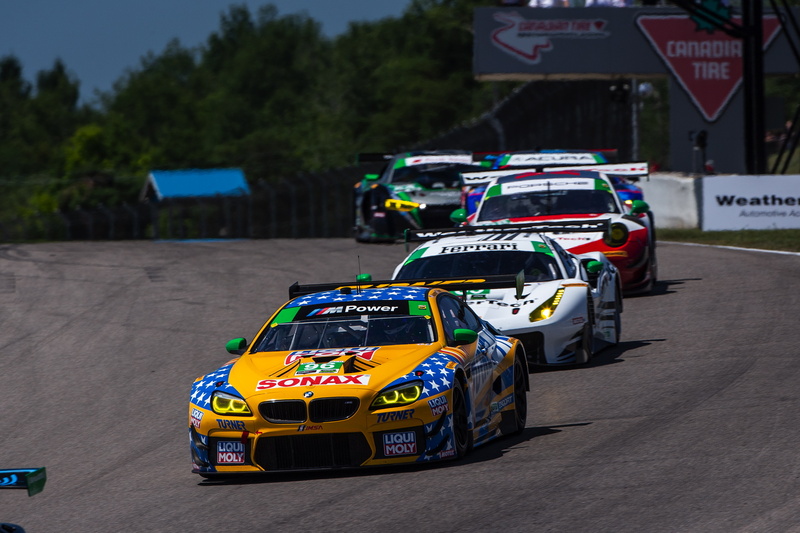 BMW Customer Racing Team Turner Motorsport did not enjoy a second consecutive winning weekend. Contact with the No. 58 Porsche forced the No. 96 BMW M6 GT3 to retire on lap 63 after strong drives by co-drivers Bill Auberlen and Robby Foley. 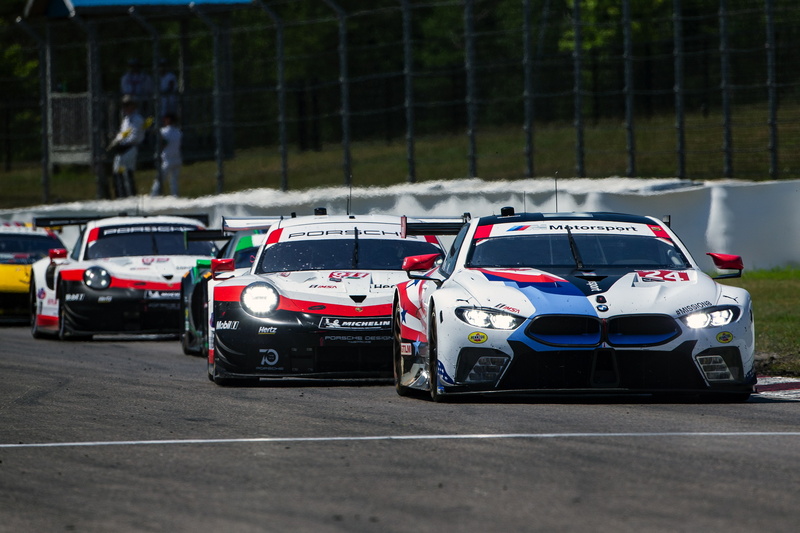 Round 7 of the IMSA WeatherTech SportsCar Championship, the Northeast Grand Prix, will be held on July 21 at Lime Rock Park, in Lakeville, Conn. Previous post 2019 Mercedes-Benz GLE Interior spied, does it compare to the BMW X5?